Reddit is amazing for finding cool new content A Lesser-Known Way to Find New & Interesting Subreddits A Lesser-Known Way to Find New & Interesting Subreddits Want to find new, interesting, and obscure subreddits? Use this secret but effective method that nobody knows about! Read More and discussing issues of the day with people from all over the world – but it also has its problems. 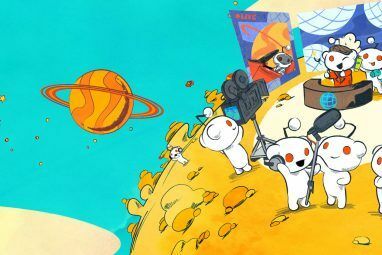 The Reddit site layout looks extremely dated, it lacks several basic features 9 Neat Reddit Hacks You Should Try Right Now 9 Neat Reddit Hacks You Should Try Right Now Can you make your Reddit experience even better? Of course you can – just follow these nine neat hacks! Read More , it’s frequently accused of censoring posts that site admins and moderators don’t agree with, and it’s often been in the news for misplaced witch-hunts and other unsavory incidents. Perhaps it’s time to check out some other options (as long as you’re prepared to relinquish all that karma…)? 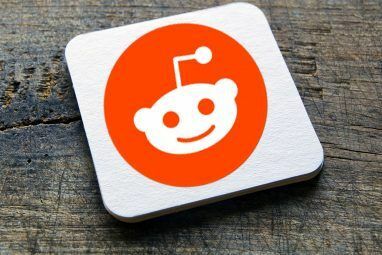 Here are seven Reddit alternatives you should definitely investigate. 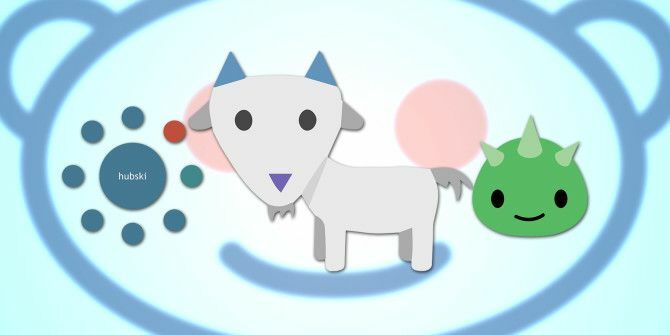 Voat launched in 2014 with the explicit objective of usurping Reddit’s place at the top of the user-driven content aggregation tree. At first glance, the site looks incredibly similar to Reddit’s. Subverses (Voat’s equivalent of subreddits) are listed across the top of the page, usernames are displayed in the top right-hand corner, and posts are listed vertically underneath – complete with upvote and downvote arrows. Probe a little deeper, however, and the differences are clear. Voat lists post scores in raw numbers, moderators can only control a certain number of subreddits, users’ voting powers are restricted until they amass a predefined amount of positive feedback, and according to their FAQs, it’s their policy not to censor anything unless the content in question is illegal. Hubski is in the same mold as Voat and Reddit, but boasts one crucial difference – submissions are ranked based on their number of shares rather than their upvote/downvote ratio. The site also tries to peddle a slightly different mantra to Voat. Where Voat yearns for the days of Reddit’s free speech and lack of censorship 5 Brilliant Ways Tech-Savvy People Worked Around Censorship 5 Brilliant Ways Tech-Savvy People Worked Around Censorship n ad-hoc mesh wifi network, spreading across Havana, connects people without Internet access, and other ways people work around government censorship. Read More , Hubski wants to return to Reddit’s golden age of quality discourse about any given topic. “The best comments are those that generate thoughtful, civil conversation. You don’t have to agree with others, but be respectful. Good comments are not necessarily popular perspectives, but are well-supported ones. Other cool features include the ability to follow particular users, account muting, and “comment tagging” which works like Twitter’s hashtags. Imzy only launched in the Spring of 2016. It was founded by a former Reddit senior vice president, Dan McComas. McComas had become disillusioned with some of his former company’s inflammatory groups and subreddits, and thus decided to launch a new site that reimagined how Internet communities function. The site makes a good first impression; it’s got a modern interface, offers small monetary tips for good content, allows for multiple profiles to be created under one account, and boasts soon-to-be-launched official apps for Android and iOS. The site is still in beta phase, but don’t worry – if you want to learn more about Imzy and get a private beta invite Why You Will Want to Join Imzy -- and How to Get an Invite Now! Why You Will Want to Join Imzy -- and How to Get an Invite Now! Imzy is the latest big social network to hit the scene -- and it's set to dominate. Here's everything you need to know about why Imzy will be huge. Read More , we’ve got you covered. Hacker News is like a Reddit that’s entirely dedicated to tech geeks. Unlike some of the sites we’ve already covered on this list, Hacker News is well-established; it’s rapidly approaching its tenth birthday and has a thriving user base. Like Reddit, it’s aesthetically disappointing – but it terms of quality technology-based content it’s unequaled. The site does not have a subreddit equivalent and nor does it allow posts to be downvoted, but individual comments can be downvoted by users who have more than 500 karma points. Reports suggest it takes about 100 upvotes to get a post to the front page. Empeopled is a Reddit-esque site that aims to put power in the hands of its users rather than its admins and mods. The site pays you a small amount of Bitcoin when people upvote your posts and comments. As you become more influential, you can help decide the site’s future in monthly “Decide the Future Nominations” threads. At the moment, the site seems to be thriving. If you want to earn money from your posts, it’s worth checking out. Stacksity is unmoderated, but due to the way it works the best content always rises to the top. A stack is like a more flexible version of a subreddit. A stack can be a place (based on GPS), a topic, a category of posts, or even your own user profile. If you like a particular post, you add it to your stack. If you don’t like it, you remove it from your stack. One potential criticism is that it’s very image-centric, so if long and rambling text posts are more your thing, you should probably look elsewhere. Aether isn’t a website, but rather, a downloadable app. Its standout feature is its anonymity; all posts are encrypted over a peer-to-peer network 10 Networking Terms You Probably Never Knew, And What They Mean 10 Networking Terms You Probably Never Knew, And What They Mean Here we'll explore 10 common networking terms, what they mean and where you are likely to encounter them. Read More , and users do not have persistent identities. There are no moderators, no admins, and nothing is removed; in fact, everything is governed by the simple upvote/downvote system, the same as Reddit. Whether or not total anonymity is a good idea is questionable – some of 4chan’s more insalubrious episodes suggest it might not be. But if you want your comments to be taken at face value, without the worry of post histories or of your account being identified by friends or family, Aether could be a great choice. The app is available on Windows, Mac, and Linux. Will You Ever Leave Reddit? The problem that most of these seven alternatives have is their user numbers. A good user-driven content aggregator needs lots of new posts to keep the front page fresh and to make sure people keep returning. That’s why Reddit, despite its problems and controversies, continues to reign supreme. Some of the alternatives sound great on paper, but unless then can hit a critical mass, they are doomed to failure. Have you found a Reddit alternative that you’d like to share with your fellow readers, or do you think Reddit is the undisputed number one? Let us know your thoughts in the comments below. Wow. Could Voat possibly be more right wing? Brand new site streetbadge.com is a clean slate for those looking for a new online corner to dominate. And, we have a Classified Ads section! Check us out. Guys, you need to try cheerex.com.....It is best alternative to Reddit. Dirty.us is reddit-like platform, but in many ways more powerful and user friendly. It's perfect for small and large communities and completely free. Headcycle.com is really simple, but that's what makes it interesting. It only does two things - rank links (like reddit) and allow messaging between users...that's it. It's also very appealing to the eye. You forgot Snapzu which is mentioned quite a bit. It does not say anywhere in the article above that "Voat was founded in reaction to Reddit shutting down the /r/fatpeoplehate". You then go on to describe Reddit's image, which is not relevant to this article. Don't undestand. I've been on Imzy's waiting list since June 9, 2016. Is Imzy still in existence, or am I waiting for a dead network to give me an account??? Kevin, I can invite you if you share your mail id. I'm really enjoying Imzy. It's layout is much cleaner and nicer then Reddit. It is in Beta though so there aren't a whole lot of people on it yet.i recommend getting in the beta! Imzy is now open to all. No invite needed. My experience with Voat's boards suggest that it's marginally less sociopathic than the more reprehensible parts of 4chan. I'm glad that it exists, so that people can congregate there and merely be horrible to each other instead of the rest of the internet, although I don't believe reddit has been improved by the Editorial/Moderation-related user exodus that led to its creation in the first place. I feel like it is a bit dishonest to gloss over the fact that Voat was founded in reaction to Reddit shutting down the /r/fatpeoplehate. It also became a rally point when Reddit shut down the racist "Chimpire" subreddits. As such, it is housing a very hateful and racist userbase. It does not say anywhere in the article above that “Voat was founded in reaction to Reddit shutting down the /r/fatpeoplehate”. You then go on to describe Reddit’s image, which is not relevant to this article. Don’t undestand.